Explanation: Even great observatories need a boost from time to time -- including the orbiting Compton Gamma-Ray Observatory. 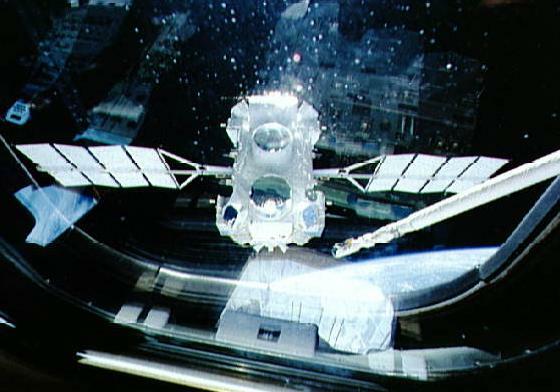 Sparkling reflections and the bright limb of the Earth are visible in this 1991 window view of Compton's release into orbit by the crew of the Space Shuttle Atlantis. Named after the American Nobel-prize-winning physicist, Arthur Holly Compton, the Compton Observatory has spent the last 6 years making spectacular discoveries while exploring the Universe at extreme gamma-ray energies. 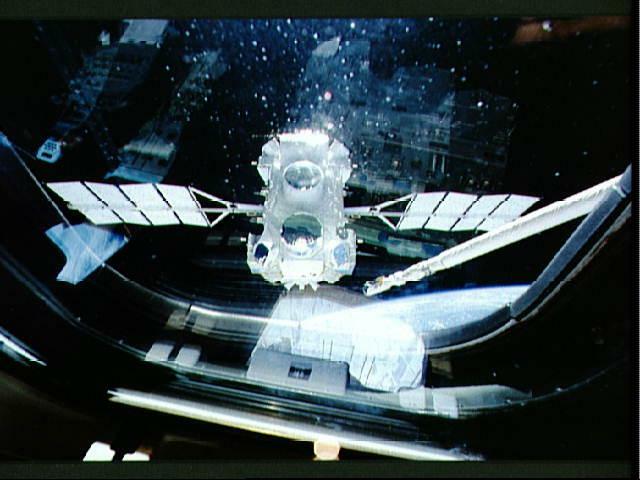 From its post over 240 miles above the Earth's surface, the 17 ton satellite still experiences enough atmospheric drag to cause its orbit to deteriorate over time. But NASA controllers have just completed a complex two month long series of firings of Compton's on-board thrusters which has raised its orbit to an altitude of over 300 miles. This reboost (Compton's second in 6 years) should allow it to continue its voyage of exploration of the distant high-energy Universe until about 2007. What if you could see gamma rays?